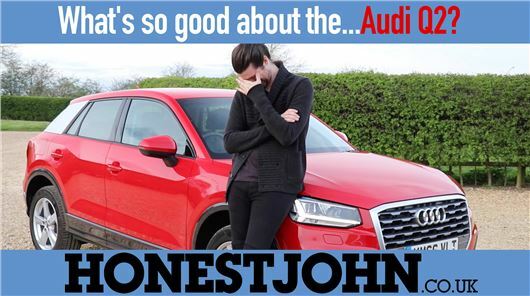 VIDEO: What's so good about the... Audi Q2? Naturally, it has instantly become the most expensive compact crossover there is. So is it worth it? Click play below to find out. I started to spec one out on the Audi configurator, heated leather seats, parking sensors, 1.4 CoD engine, manual, metallic paint, sunroof, privacy glass, etc and after £6k of extras, some of which are standard on a Juke Tekna costing £20k, I dismissed the idea at £33k, thinking I'd rather buy a 12 month old S3 and have more fun. Audi doesn't offer bigger petrol engine either and AWD on Auto only. Why FFS? . I'm sure others will think the same way and end up buying basic spec Q2s (or something else) so that's what will be on forecourts in 12 months time. No way, Q2 it is very elegant indeed and fascinating and nothing to do with Juke or Renegade or the Jap, sorry but their design is ugly, to say the minimum. OK options are not cheap at all but Audi deserves it. Pity for the lack of vents to the rear seats and the hard plastic in the lower part of the door panels, but I personally do not care that much. The IP is beautiful and driving the car is a pure joy!